For the past week or so I have been busy working on my new range for the new year and have become a wee bit excited about the results so far and thought I would share a little. I am always on the look out for images that spark some creativity, I have compiled an ever expanding library of photos that have captured my attention. With copious folders on my computer of interiors, vignettes, drawings, lust haves must haves (check back at this space for that one! ), and other beautiful and unusual things that have caught my eye. I have now started to pull specific images from my files and hoards of magazines to start to put a vision together for my next collection. 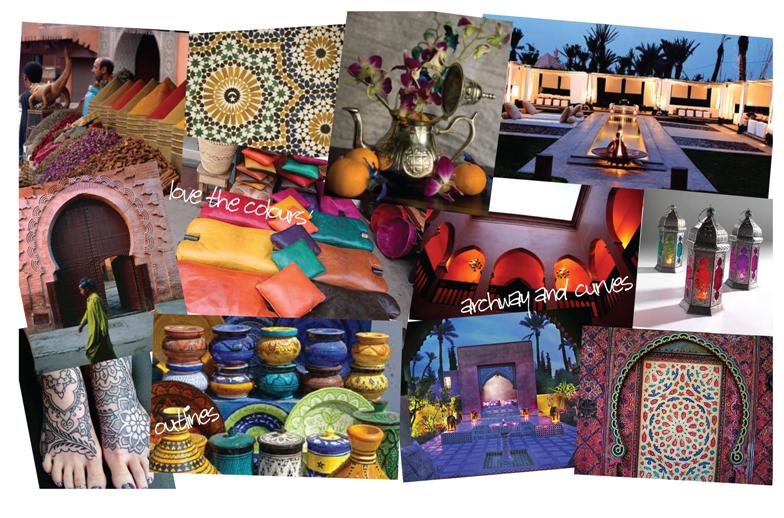 A combined love of Food – think spices, Interiors – curvaceous arches and sumptuous textiles, and colours – mustards, roses and azure; which have come together to form Marrakech. And from that I get this! I have taken the colours and shapes and combined them with strong patterns to form the basis of my next range. 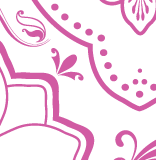 Don’t worry I haven’t gone too floral and will definitely include some of that “edge’ that I love. I hope you like where I am going.